This Website is propriety owned website of Mrs. Anushree Sinha. The PMP® aspect is managed under the leadership of Mr. Anmol Sinha along with few more PMP® certified professional on need basis. 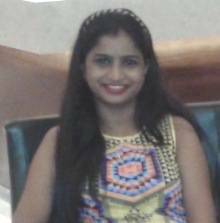 Mrs. Anushree Sinha is a dual specialized MBA graduate and she has experience in handling human resources. Mr. Anmol Sinha holds Graduation, Master, MBA, PMP® credentials along with engagement in management research (Ph.D). Anmol Sinha has teaching experience of over 5000 hours along with engagements in managing projects for over 10 years. He is also an author of a Management Fiction "The Manager". The website www.pmzest.com has NO links with any other organization/websites engaged in imparting PMP® education of any kind. We declare that we are inspired by the living legend Mr. Oliver Lehmann (www.oliverlehmann.com). He has authored mock test for PMP® exam which is freely available and can even be used commercially with reference. We have NOT used his questions/explanation as-it-is in any of our test questions, but you may find situations in few of our test question(s) which might resemble from some of his test questions, but they are completely different and we can justify them well when needed. We are NOT into providing PMP® training/PDU/sessions of any kind and hence we cannot be linked from R.E.P (Registered Education Provider) and neither the nature of product we have would require us to become R.E.P. We have no publication and neither we have any tie'up with any publication. We just have two products i.e. PMP® Type Mock Tests and PMZest - Beyond PMP® Exam eBook and both exists in electronic format ONLY. They do not have any physical state and neither is available through any publication with the state of hard copy. We have no links and tie'up with PMI® in any form and neither we have products that PMI® would review and approve for us. The product we have, has solely been authored under the leadership of Mr. Anmol Sinha without engaging any other PMP® course providers including PMI®. Few names of people given in questions are for illustration purpose only and they should just be seen from educational and learning perspective only. The example given may not be the real one in reality. PMP®, PMI®, PMBOK® Guide are marks of the Project Management Institute, Inc.